Concrete x-ray/scanning and GPR (Ground penetrating Radar) is our forte, risk management is our focus. 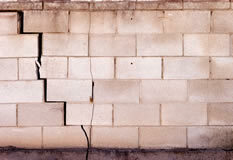 Cutting or drilling into concrete or earth without locating crucial structural components such as reinforcing, pre or post tension cables and utilities could potentially compromise the structural integrity of your worksite, or even cause serious injury or death to your employees. 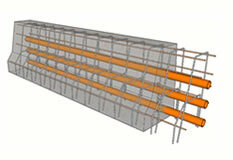 To ensure you don’t waste tens of thousands of dollars in structural repair works, and you do return home safely each day, Construction X-ray offers a new standard in service- locating and hit prevention. 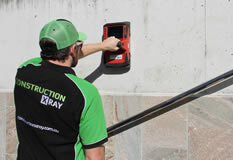 Construction X-ray specialises in service-locating and hit-prevention, using state-of-the-art equipment and trained technicians to offer a level of accuracy and speed previously unseen in the market. Put simply: If it’s there, we’ll find it! We can also provide expert advice in relation to concrete deterioration and load bearing capacity – see our Structural Analysis page for more. We understand that unexpected changes on-site can cost valuable time and money, so to keep your site ticking like clockwork we deliver same-day reporting of all our concrete scanning. 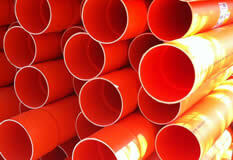 We also offer on-site reporting on request.